A leading international intellectual property law and litigation firm. Work for Cowan, Liebowitz & Latman, PC? Learning about Cowan, Liebowitz & Latman, PC? Latham & Watkins is a global law firm with more than 2,200 lawyers in its offices located in Asia, Europe, the Middle East and the United States. Faegre Baker Daniels is dedicated to serving the legal needs of regional, national and international businesses. With roots dating back to 1863, we are one of the 75 largest law firms headquartered in the U.S.
Orrick is a global law firm focused on serving the Technology, Energy & Infrastructure and Finance sectors. 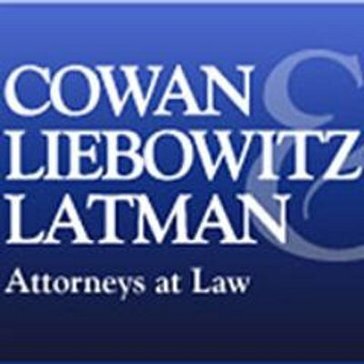 * We monitor all Cowan, Liebowitz & Latman, PC reviews to prevent fraudulent reviews and keep review quality high. We do not post reviews by company employees or direct competitors. Validated reviews require the user to submit a screenshot of the product containing their user ID, in order to verify a user is an actual user of the product. Hi there! Are you looking to implement a solution like Cowan, Liebowitz & Latman, PC?